Opening ceremony of the Stony Brook University Cancer Center’s new Kavita and Lalit Bahl Center for Metabolomics and Imaging Center. From left, Dr. Lina Obeid, dean for research at Stony Brook University School of Medicine; Dr. Yusuf Hannun, director of the Stony Brook Cancer Center; Lalit and Kavita Bahl; Dr. Samuel L. Stanley Jr., president of Stony Brook University; and Dr. Kenneth Kaushansky, senior vice president for the Health Sciences and dean of the School of Medicine. 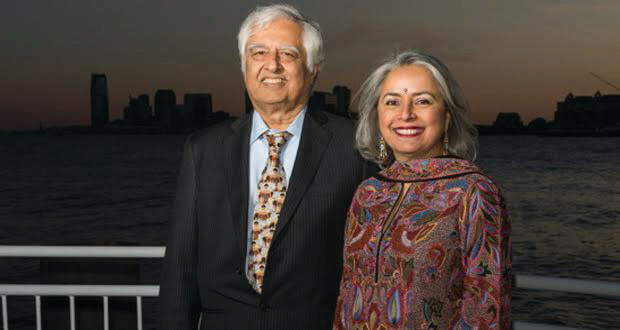 With two back-to-back gifts from Kavita and Lalit Bahl, totaling $13.75 million, the Stony Brook University held a dedication ceremony last month for the official opening of its new center for metabolomics and imaging that will advance cutting-edge cancer research. The university said that understanding the metabolism of cancer at its most complicated cellular levels is an essential approach to advancing cancer research and patient outcomes, and with new imaging tools and technology that can map tumors with more precision than ever before, the new one-of-a-kind translational research center soon at the Stony Brook University Cancer Center will further that goal. The dedication ceremony for the official opening of the high-tech laboratory was held Dec. 1 in its first laboratory space in the Health Sciences tower. Christened Kavita and Lalit Bahl Center for Metabolomics and Imaging, the facility will advance the family’s vision to elevate Stony Brook Medicine to the cutting-edge of personalized cancer research, diagnostic imaging breakthroughs and evolving individualized cancer care far beyond where it currently exists. “We are very interested in supporting cancer research because my family has been so greatly affected by cancer,” Lalit Bahl, an, IIT Kharagpur-trained engineer who has an MS in electrical and computer engineering from University of Illinois at Urbana-Champaign, said at the dedication ceremony. 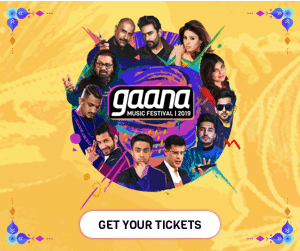 “My mother, grandmother, sister, and many, many relatives all lost their lives to cancer and I would like to see this not happen to other people,” Bahl said. “We believe research is necessary to improve treatment and greatly reduce the death rate of these terrible diseases,” Bahl who works for New York-based investment firm Renaissance Technologies, said. Metabolomics is an emerging field in cancer investigation with the most promising approach to individualized cancer treatment because uncovering metabolic pathways is a key to unlocking their influence on the development and proliferation of cancer cells. Under the guidance of Yusuf Hannun, Director of the Stony Brook Cancer Center, and Lina Obeid, dean for research, the Bahl Center will bring together Stony Brook researchers in the fields of metabolomics, cancer biology, medical imaging, and computational oncology. It is expected in 2018. The Bahls launched the imaging center bearing their name with an initial gift of $3.5 million for the purchase of a cyclotron – an instrument used to create novel tracers for PET scanning, a technique that allows molecular imaging within the human body. They followed up with a $10 million pledge enabling the Stony Brook Cancer Center to conduct revolutionary research and recruit top faculty experts in all related fields. Next articleAre Kebabs The Next Hamburgers?